Advantage in Action. As an industry leader, McLane has invested heavily in its end-to-end grocery supply chain services. Our one-of-a-kind solution combines unparalleled procurement resources and relationships, state-of-the-art logistics, data and analytics based merchandising services and cost-saving technology applications that empower our customers to buy better, sell smarter and profit more. the widest range of products to our customers. In fact, we are one of the largest worldwide purchasers of products in such key retail categories as tobacco, candy and salty snacks. This kind of buying power means that we can assist you in getting the best manufacturer buying brackets possible. and tools your business needs to optimize your product mix. A key advantage of working with McLane is the depth of our information resources and market insights. Our merchandising strategies are all based on proven results, not marketing budgets. With one of the industry’s most robust data warehouses, we are able to use an aggregated class of trade-specific data and compare and contrast these findings with multiple syndicated data sources. 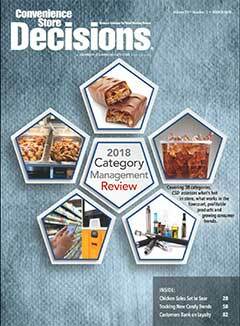 With this powerful analytic approach, you can compare your sales and product movement with that of other trends on a national, regional and local level, as well as by individual stores and specific items to determine your best-mix product scenarios and identify key selling opportunities. systems can be a never-ending challenge. Fortunately, our dedicated team of IT professionals is ready to help. Not only do we provide a broad range of custom applications, but we also help ensure that they work with the enterprise applications—such as SAP, PDI, Radiant and many others. McLane Company, Inc. is one of the largest supply chain services leaders, providing grocery and foodservice supply chain solutions for convenience stores, mass merchants, drug stores and chain restaurants throughout the United States. McLane, through McLane Grocery and McLane Foodservice operates 80 distribution centers across the U.S. and one of the nation’s largest private fleets. The company buys, sells and delivers more than 50,000 different consumer products to nearly 110,000 locations across the U.S. In addition, McLane provides alcoholic beverage distribution through its wholly-owned subsidiary, Empire Distributors, Inc. McLane is a wholly-owned unit of Berkshire Hathaway Inc. (NYSE: BRK) and employs more than 20,000 teammates.